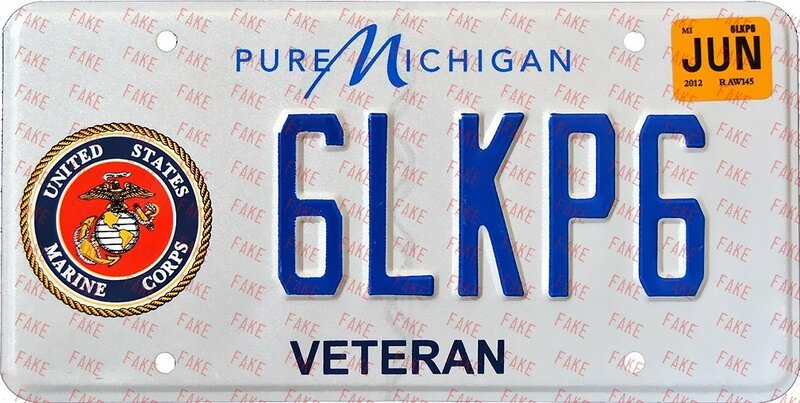 Porcelain in the identical size of state issued plates. 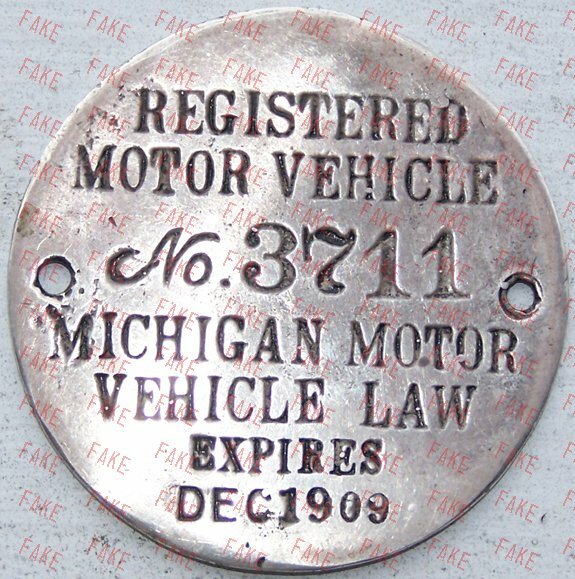 Part of a set of four; 1906, 1907, 1908 and 1909. 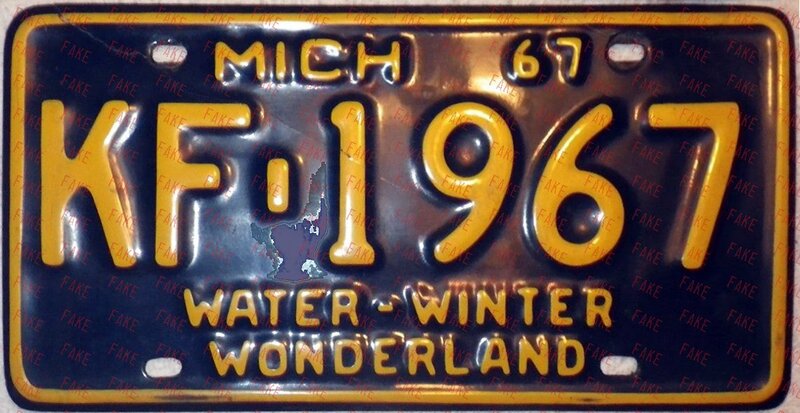 Five sets made in the early 1970s. 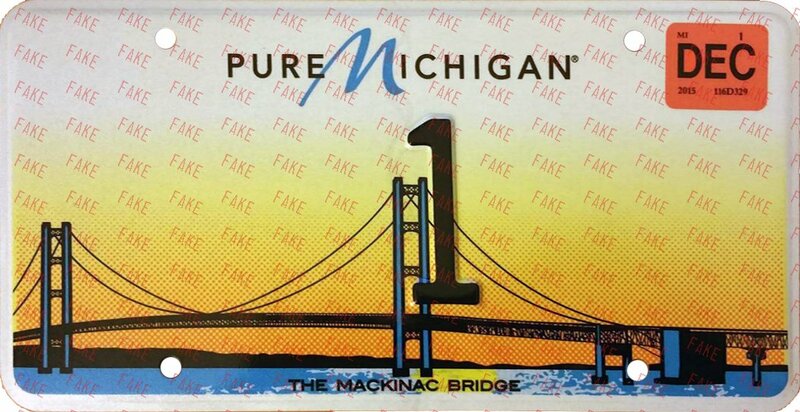 Porcelain, made in the early 1970s. 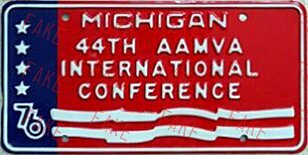 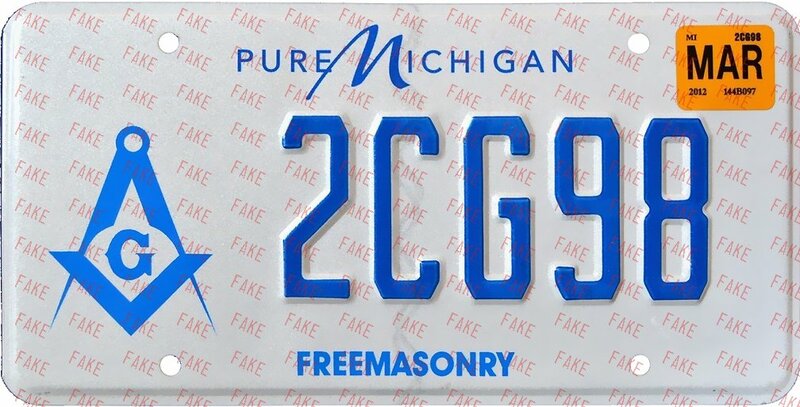 Looks like porcelain, state seal too small, date not centered under "MICH."
Sticker left center with "REGION III" over "CONFERENCE" top; seal center; "GRAND RAPIDS" over "JUNE 24-28, 1990"
No "PURE MICHIGAN" plates dated before 2014 are genuine. 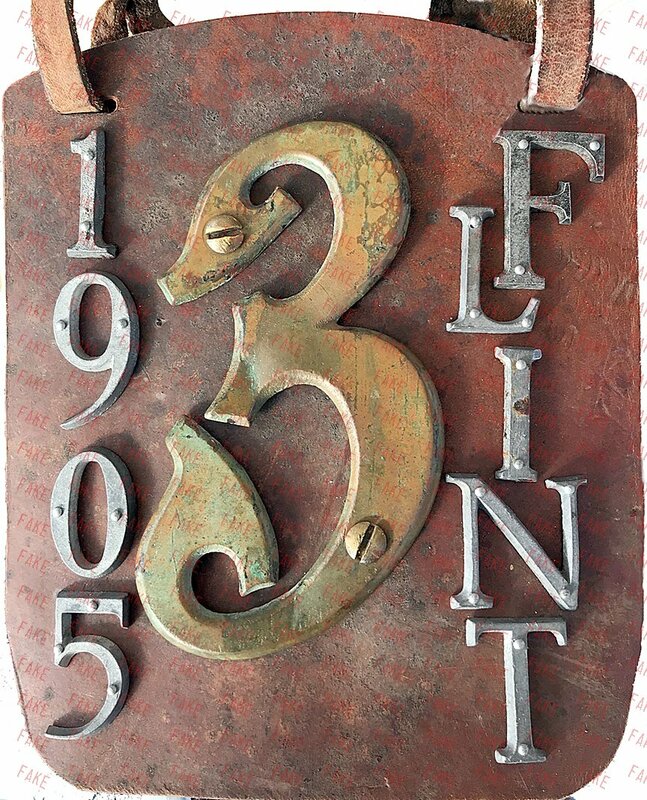 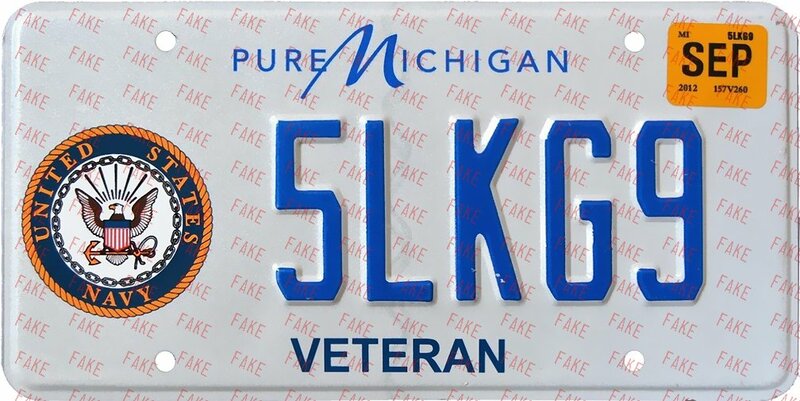 This plate was counterfeited in the prison facility in Adrian MI, and is not discernable from the original. 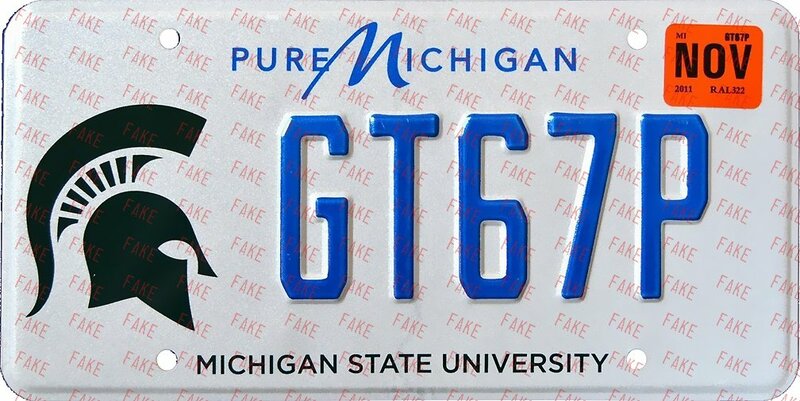 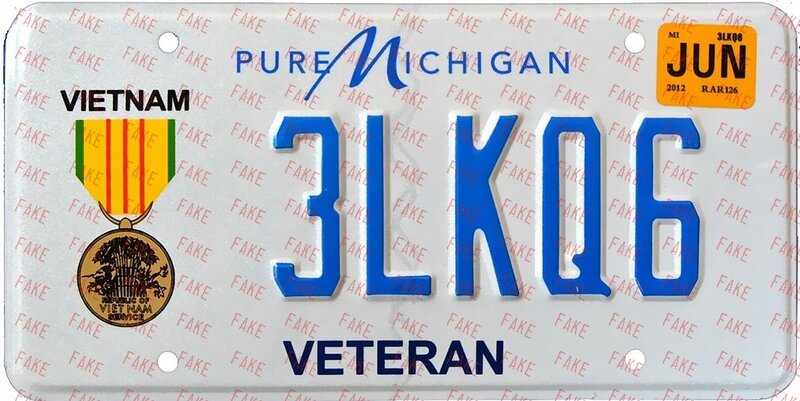 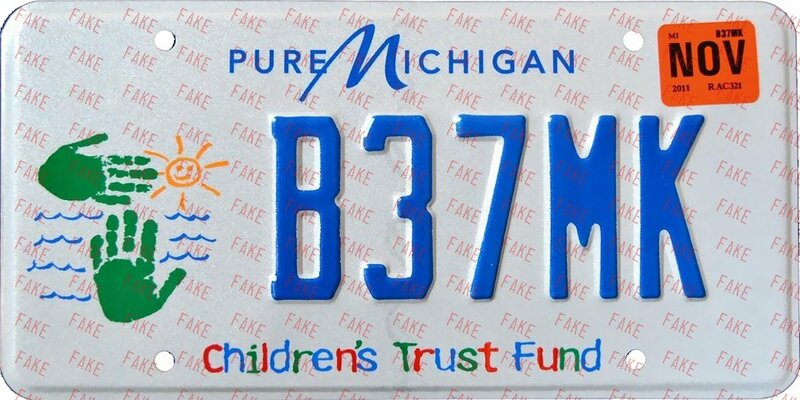 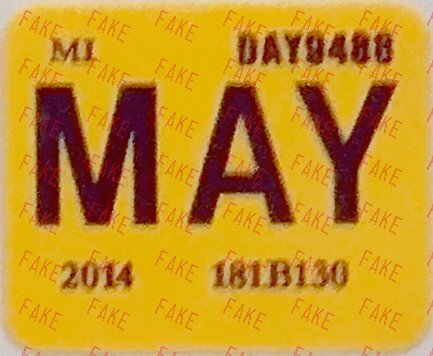 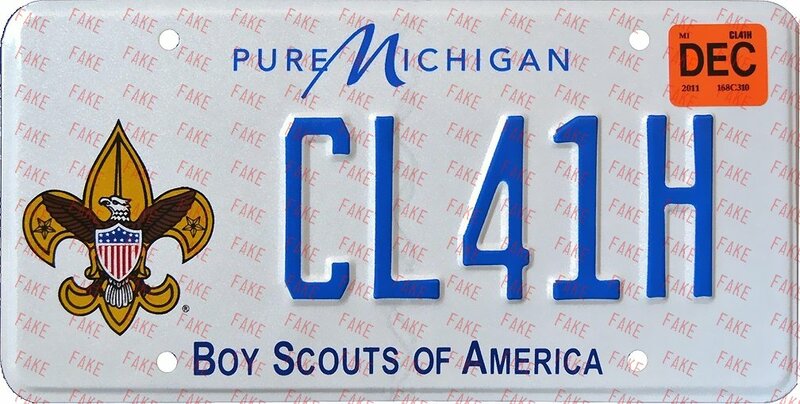 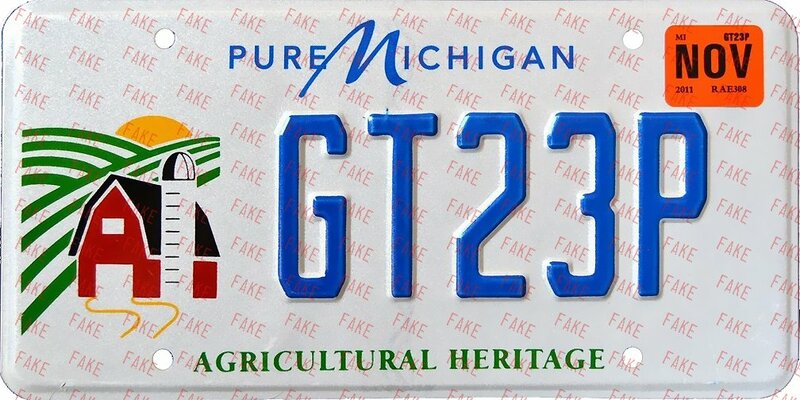 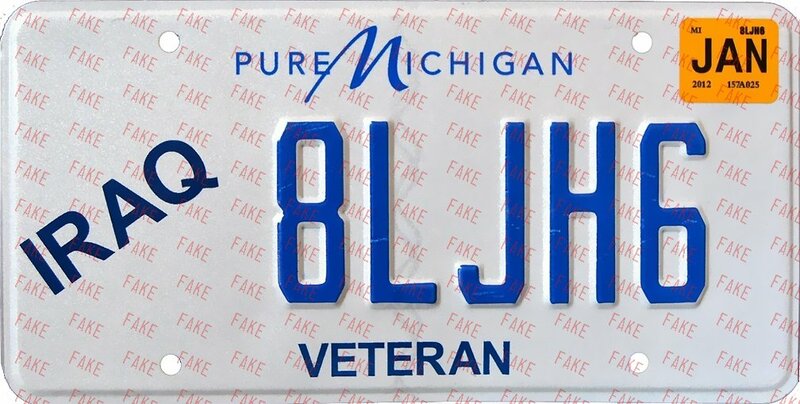 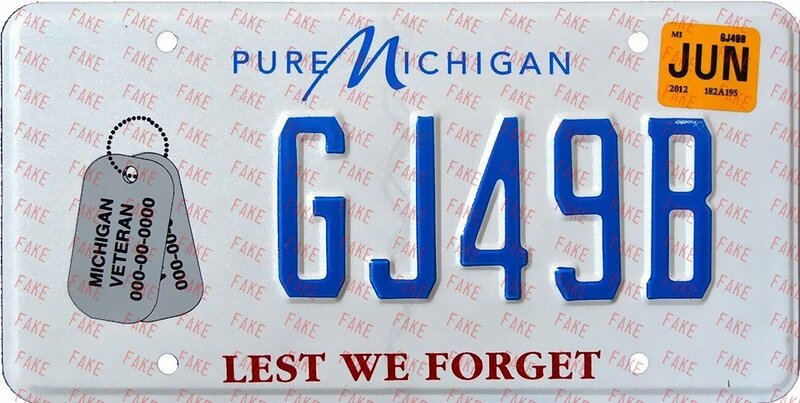 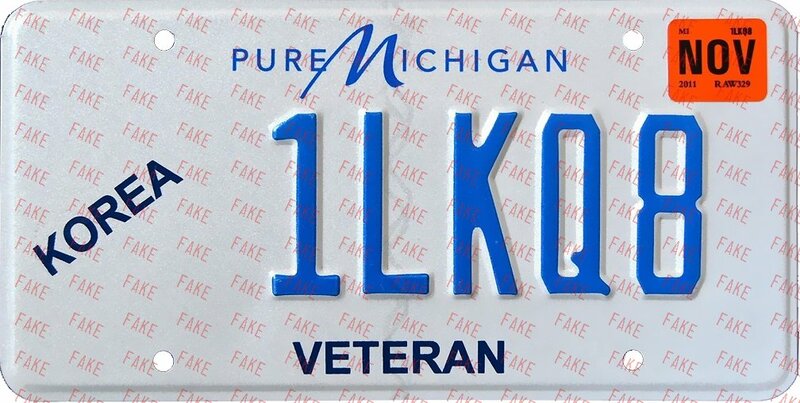 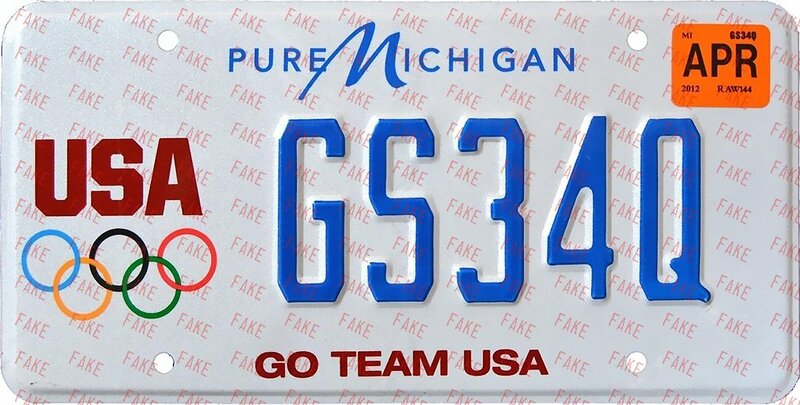 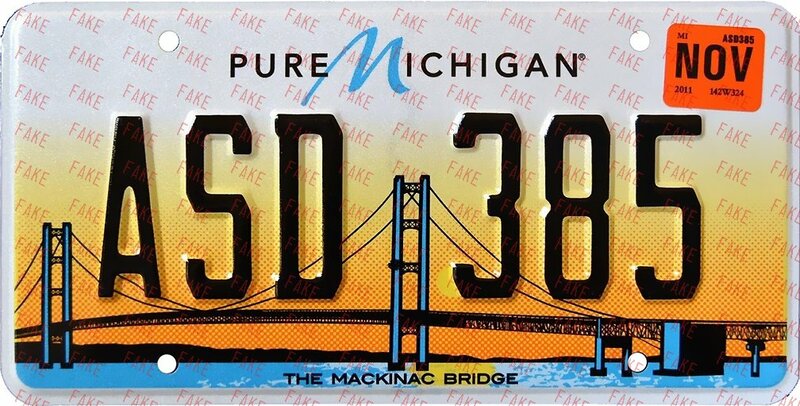 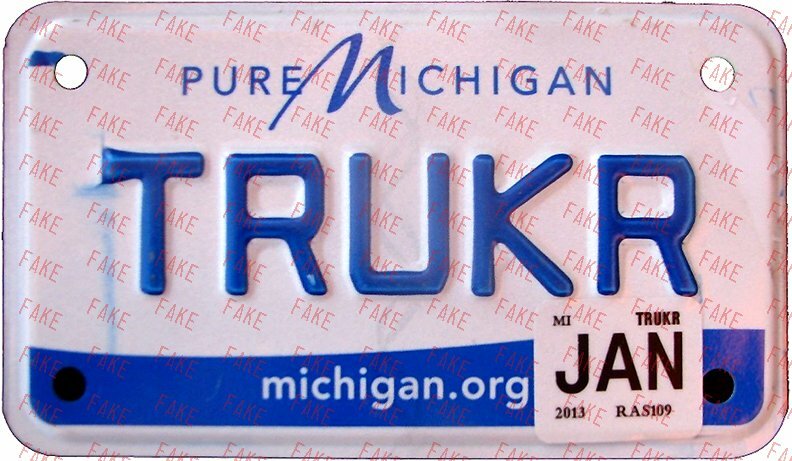 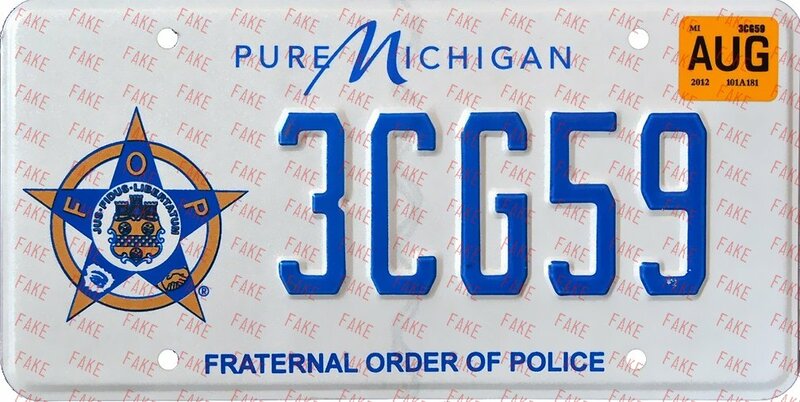 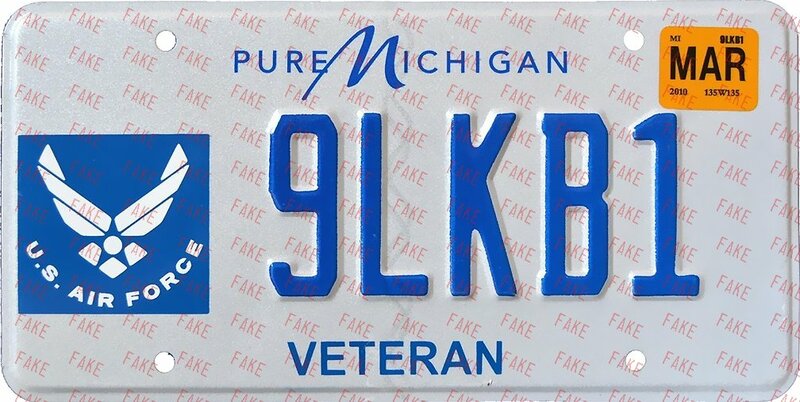 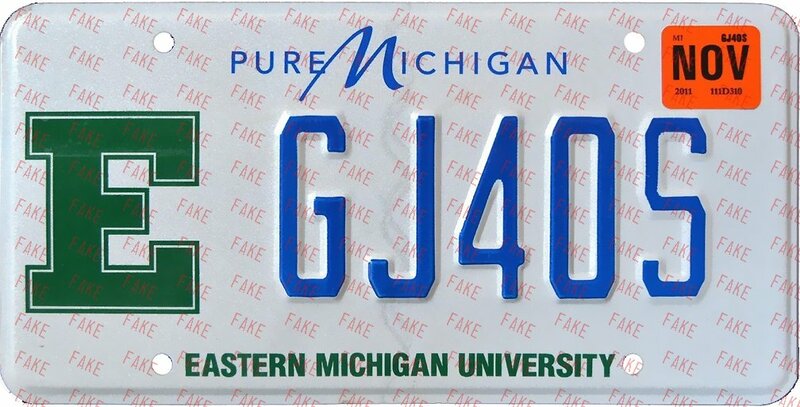 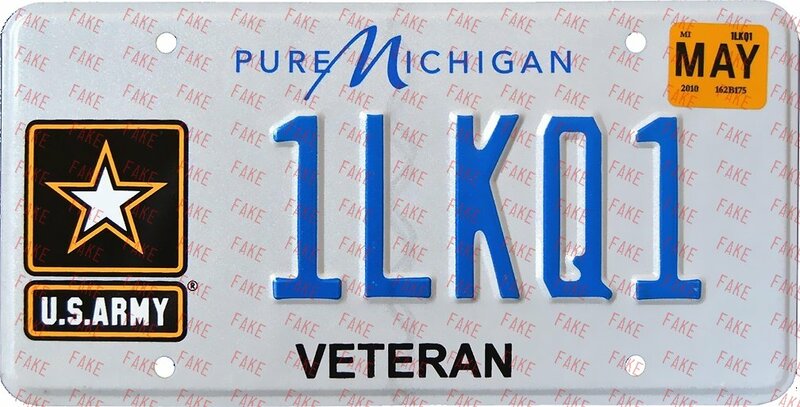 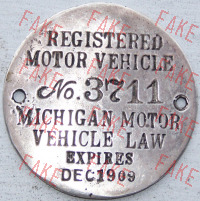 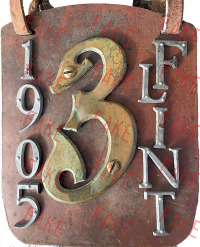 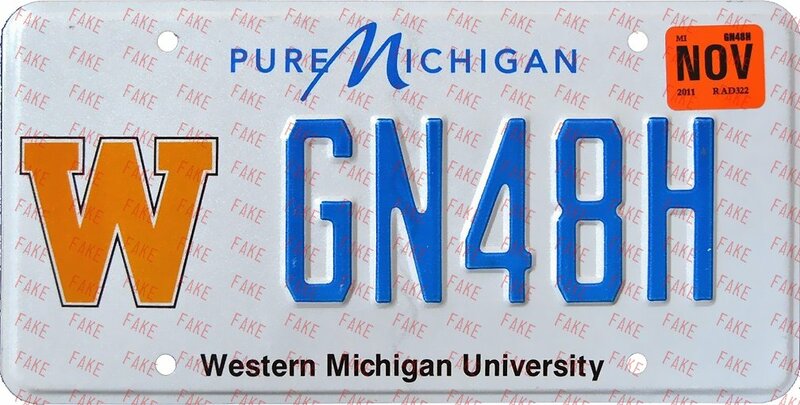 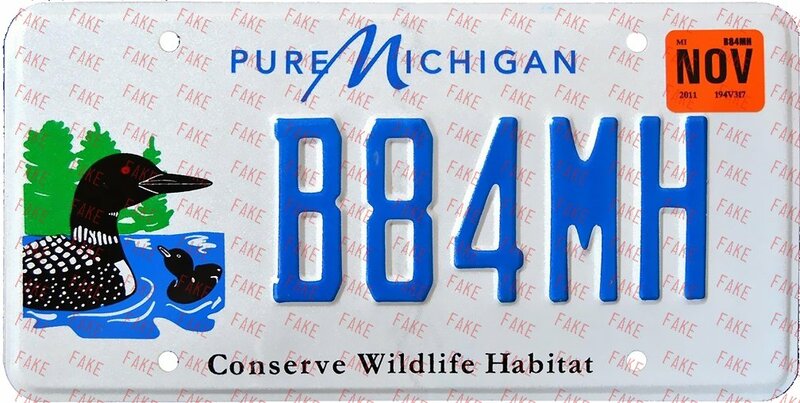 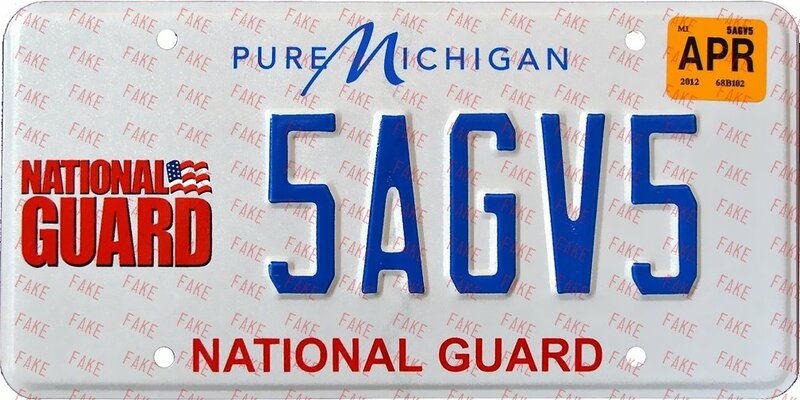 Genuine base plate, which was illegally obtained through the Michigan license plate facility, with fake date sticker. 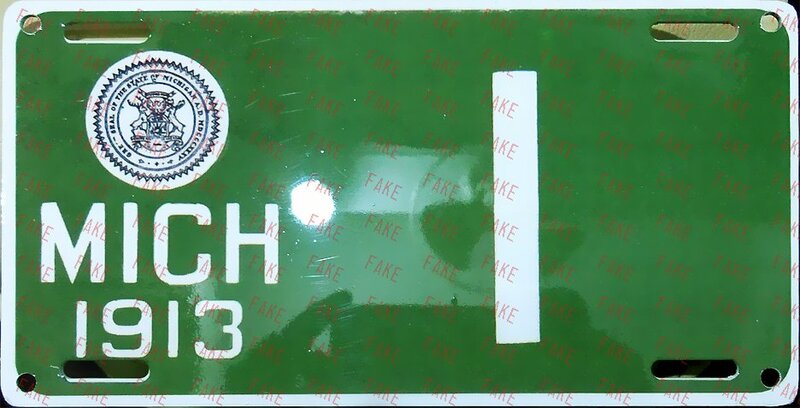 There are many of this type of fake in circulation, and the stickers are very difficult to discern from the genuine. 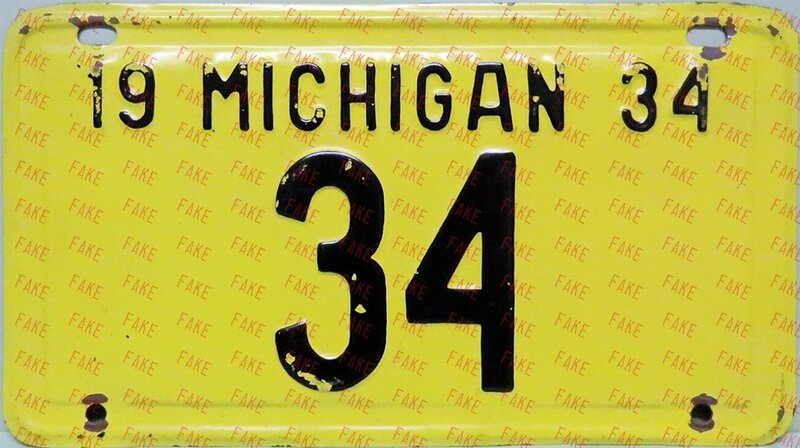 Fakes have a slightly heavier print. 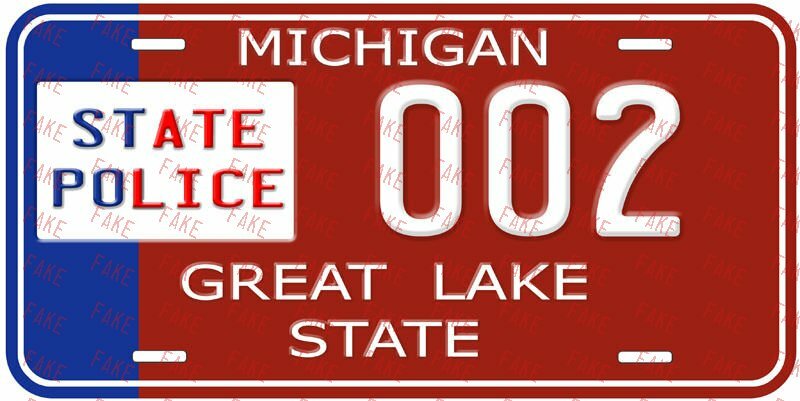 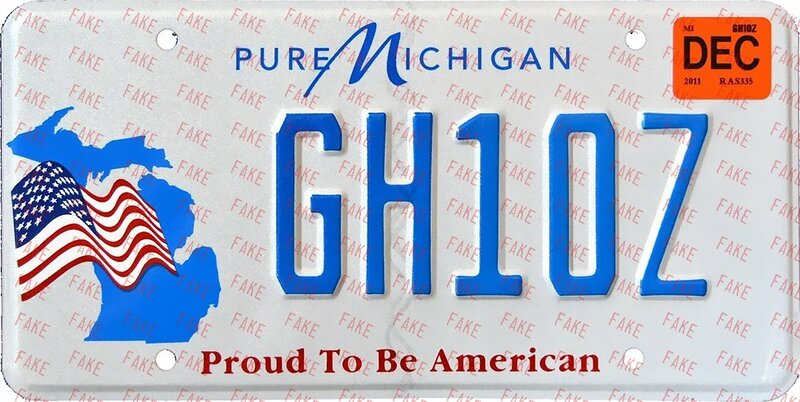 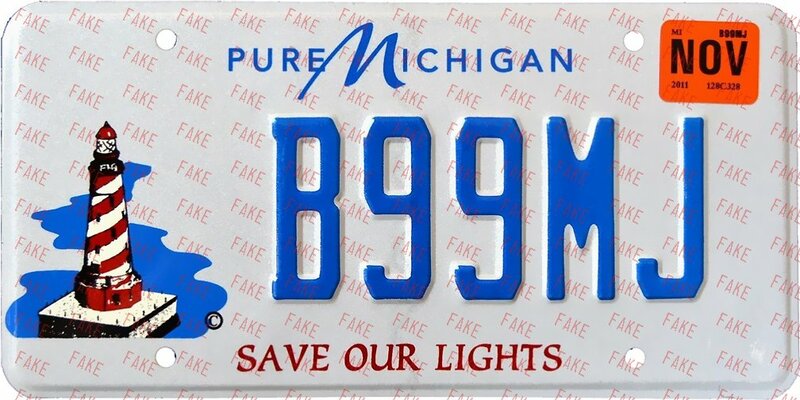 All unused MI "Pure Michigan" plates are suspect. 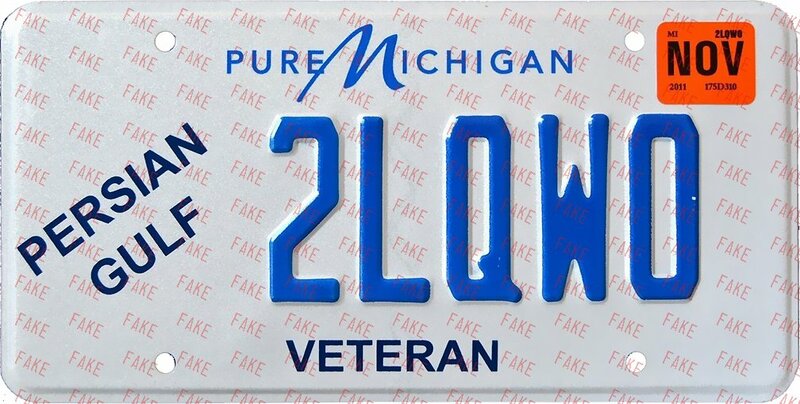 Made as a souvenir from a tour of the license plate facility in Adrian. Incorrect serial format.